Google is buying its way back into the smartphone business, almost four years after selling its stake in Motorola Mobility to Lenovo. 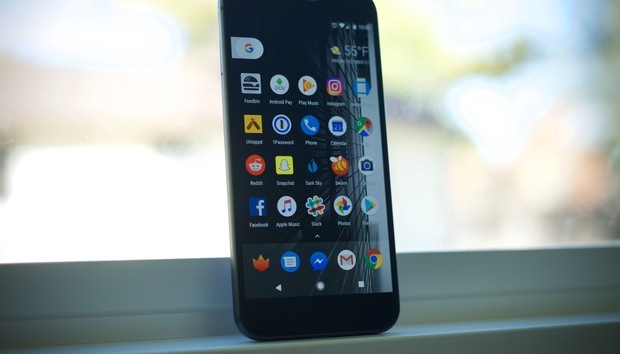 It's a sign that Google is committed to tighter integration between the Android operating system and specialized smartphone hardware. That could be good news for app developers and Android phone buyers alike: As Apple has shown with the video processing and artificial intelligence features of its iPhone X, there is much to be gained by tightly coupling software and hardware. Google never entirely quit the hardware business. Since selling Moto, it has continued to release smartphones and tablets under its own brand, but these were designed and manufactured by other companies, including LG and HTC. Now Google is taking greater control of that design process, paying US$1.1 billion to HTC to acquire the team behind its Pixel devices. It will also receive a non-exclusive license to some HTC intellectual property, the companies said Thursday. The number of HTC employees affected by the deal is around 2,000, according to Reuters. The deal won't give Google any manufacturing capabilities: It will still have to outsource that work to others. And it won't knock HTC out of the smartphone market altogether: It still has a team working on the successor to its U11 flagship, launched earlier this year, and will continue to work on its VIVE virtual reality system. HTC has been a long-time supporter of Google's Android project. It was the first smartphone manufacturer to build an Android phone, the HTC Dream. Later, it built the Nexus One and the Nexus 9 tablet for Google, following up with the first Pixel smartphone last year. Google unveiled the Pixel and Pixel XL phones at an event on Oct. 4, 2016, alongside its Google Home digital assistant, Chromecast Ultra video streaming device and Daydream VR headset. It's getting ready to release a second generation of "Made by Google" products on the anniversary of that launch. Unlike its investment in Motorola, which lasted less than three years, Google is now investing in hardware for the long run, looking five, 10, even 20 years ahead, according to a blog post from Rick Osterloh, formerly president of Motorola and now Google's senior vice president for hardware.